Given the history of the site a contaminated land planning condition was attached to the decision notice for the proposed development. The first step in discharging the contaminated land planning condition was to prepare a desk study report to determine what potential issues could impact on site soils. 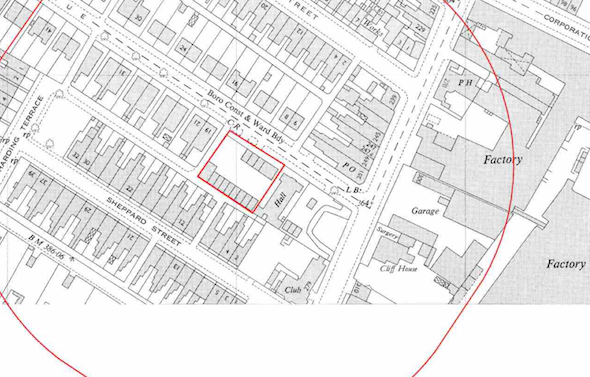 The first stage of the desk study report was to review the history of the site using Ordnance Survey maps dating back to 1877 as well as aerial plates and street level imagery. The O.S. 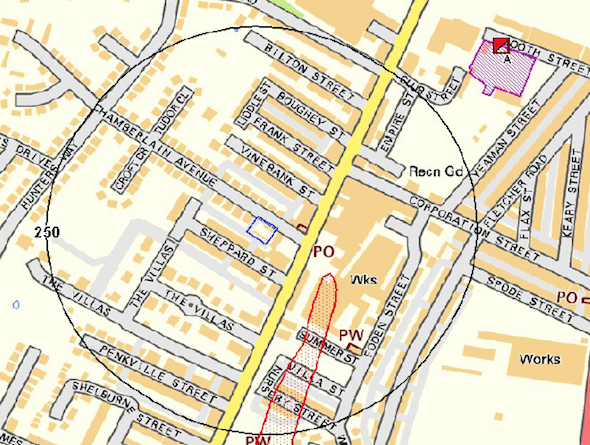 maps indicated the site was undeveloped prior to 1952 when the residential garages were built. A garage and factory were identified in close proximity to the site as well as a number of potential parcels of in-filled land. Data provided by Groundsure and the Environment Agency identified a landfill 80m south east of the site. 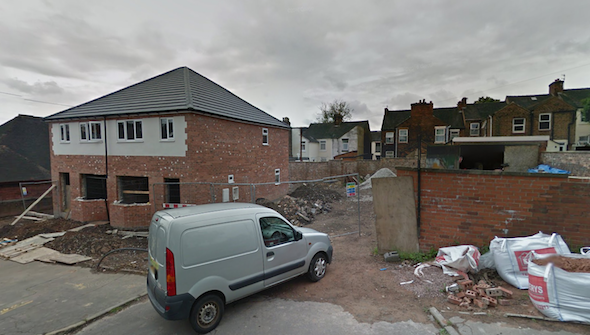 On completion of the desk based assessment a site reconnaissance visit was undertaken, which revealed that the site was occupied by a number of residential garages and a larger brick structure. Cement sheeting was identified on some of the buildings. 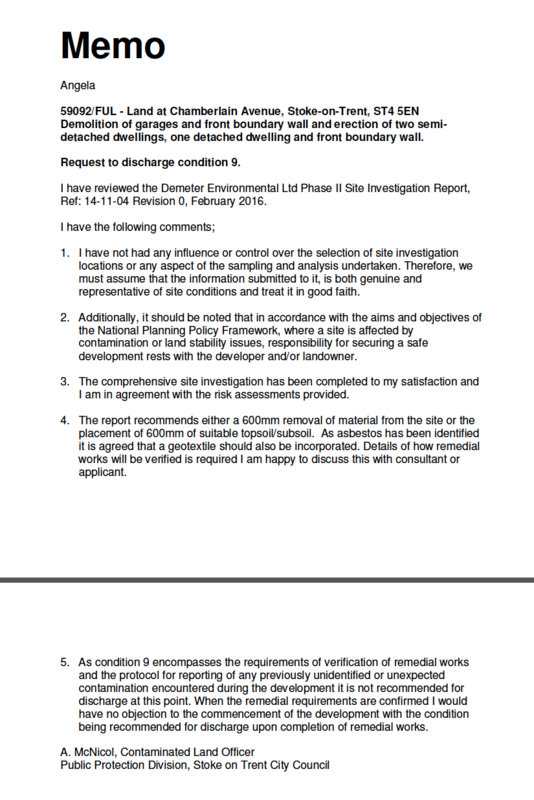 A qualitative risk assessment was undertaken on the potential sources of contamination identified in the desk study report to assess the risks they pose to the site, which concluded that the use f the site as garages had the potential to impact soil and the in-filled land near the site had the potential to impact on the site. 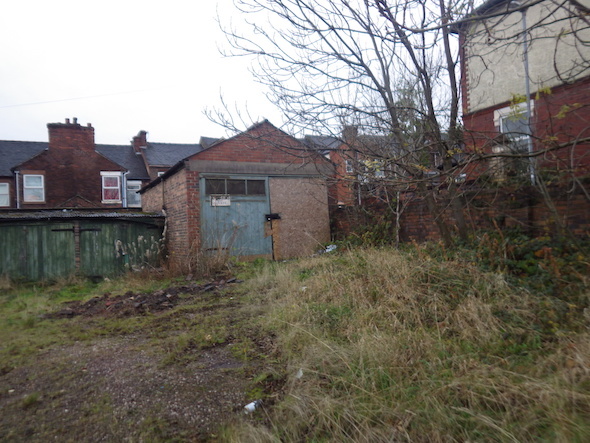 It was concluded that a site investigation as required to assess the potential issues relating to the garages (to be undertaken on completion of the demolition and site clearance). The risk posed by the off site sources of ground gases was considered sufficiently low as to warrant the incorporation of gas protection measures as an alternative to ground gas monitoring. One the proposals of the desk study report were accepted, the Phase II intrusive works could be undertaken, which commenced in January 2016. The Phase II investigation followed the proposals of the desk study report (excavation of seven trial pits across the site and a trial trench within the footprint of the former residential garages). Samples form each location were taken and analysed to the suite in the desk study report, the results were assessed and it was concluded that due to elevated levels of heavy metals and positive asbestos results a 600mm cover underlain by a geotextile should be placed on any garden or landscaped areas. 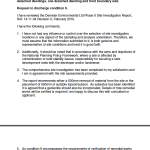 The assessment also concluded that the site soils were potentially phytotoxic. Both the desk study and Phase II reports were accepted by the local authority discharging the first parts of the contaminated land planning condition.